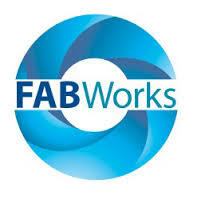 The Year of a 100 Maker Faires! 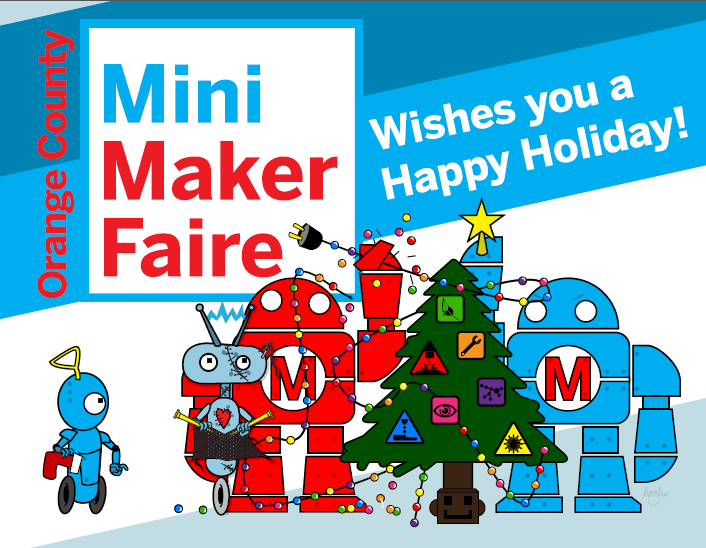 Congratulations to the whole Maker Faire Team and all the Mini’s around the world! Happy Holidays from the OCMMF Team! What is an Arduino? It’s not the latest shoe from Italy. But it is a cool very inexpensive Single board computer designed in Italy. This is digital technology that everyone can afford and use for both practical and far out projects. Come learn how everyday people are taking control of the digital revolution. Arduno’s are used in all kinds of projects: robotics, flying things, musical instruments, movie props, Halloween decorations and anything you can dream of. There is a large ecosystem of suppliers that can sell add-ons to make them do or react to all manner of interesting things. The development Environment is free and simple to use. 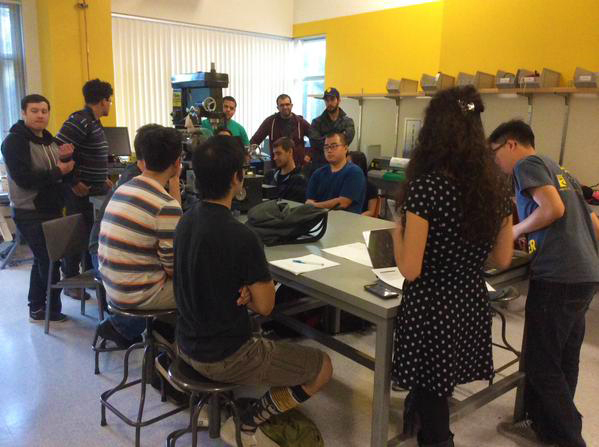 At this workshop you will actually build an Arduino project. Learn how to make techno cool gadgets Italian Style! A #2 pencil*. Or similar with a large eraser. A sense of adventure and creativity. Coloring outside the lines is encouraged. * Laptop not required to participate. Would you like to build your own robot army to take over the world? Everybody’s gotta start somewhere and you can get started on your first robot with Edtric at the OC Mini Maker Faire at UCI on August 17th, 2013! Edtric’s Crash Course Electronics with Soldering Skills workshop will teach you some of the basics of electronics and soldering and at the end you’ll have your very own working robot. At edtrication our purpose is to bring you affordable engineering hardware that allows the exploration of vast engineering and science applications. We like to think of our hardware as dynamic supplements going beyond the static pages of textbooks, theoretical problem solving, and the cubicle. You explore new concepts. You experience new things. Plus, you develop hands-on understanding. Our solutions are intended to remind you that even the largest and most complex systems start with simple concepts. We hope you will find our hardware and accompanying lesson plans thought-provoking and motivating … able to ignite your ideas, excite your creativity, and inspire your imagination. Let us nurture your inner engineer. Last November we heard this sentiment all day as kids (and adults!) 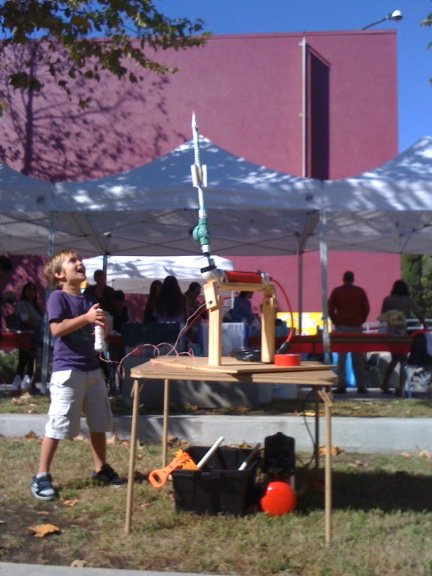 made their own paper rockets and launched them from our homemade rocket launcher at the Beall Center for Art + Technology Family Day event. 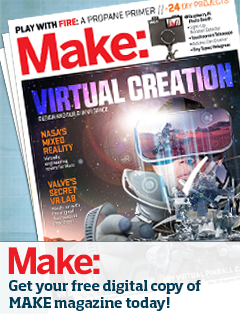 The recipe for this easy to make launcher can be found in Make Magazine vol. 15. On Saturday, aka tomorrow April 21st, at the Beall Center for Art + Technology we’ll be doing it again! All the supplies will be there for making your own paper rocket so, start the count down and watch it launch high into the air. Come on down and join us, there will be many other things to see and do at the Beall’s Family Day event. Through Family Day activities, the Beall Center seeks to stir the imagination and motivate young people to delve into the basics of science, computer programming, and visual literacy—skills that will be critical to the next generation’s success in the workplace and in life. 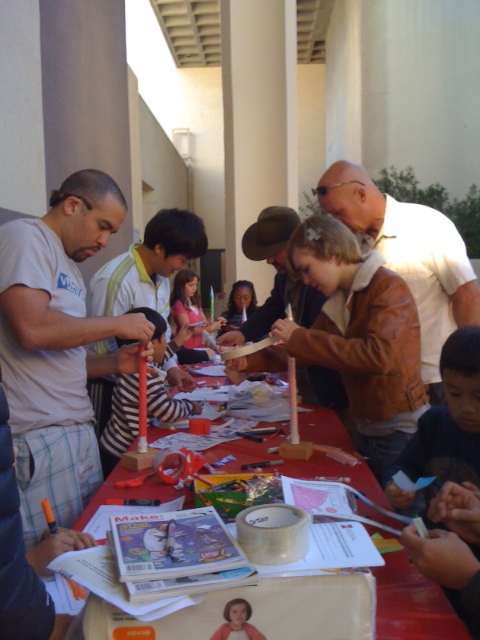 Family Day – Where Art plus Technology equals a whole lot of Fun! For more information visit the Beall Center’s website here.